My name is Oyindamola Animashaun (or Oyin), I am seventeen years old, living in Ireland and this is my first blog. I have always been very interested in owning a blog which documents my fashion escapades, as I have a special interest in fashion, especially vintage fashion. Also I have never done something like this before, so I would like to see first-hand how the process works. I feel like I am a creative person who can express through Blogger what I love about fashion. As for the reason I love vintage style, if I am being honest, I am not completely sure but all I know is I really admire the way outfits were put together back then. My love for vintage is mainly constricted to styles in the twentieth century. The flapper dresses of the 20s, the suits of the 30s and 40s, the rockabilly outfits of the 50s, the A-line miniskirts of the 60s, the jumpsuits of the 70s, the shoulder pads(!) of the 80s and the ‘ever fashionable’ grunge style of the 90s. Though few people share my love for vintage fashion, that’s perfectly okay. I love my slight androgynous homeless ‘chic’ with vintage accents style as I describe it, and I always will. 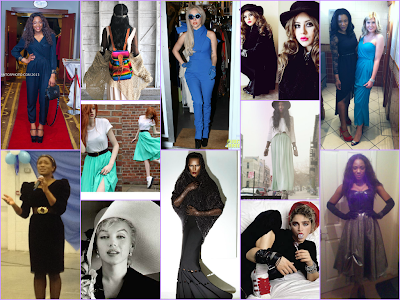 With this post I include a collage of my inspiration to dress up which I have to do sometimes as I perform. 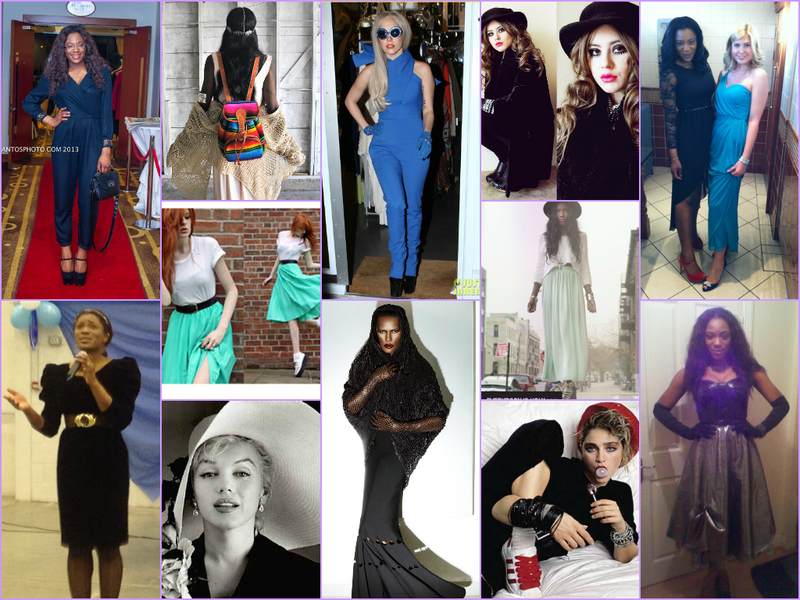 In this collage is 4 pictures of me in the corners, all of my recent outfits which inspire me and as you go in, it’s of famous people and other women I have come across over the years who I just love their effervescent style. While I hope to concentrate on fashion through this blog, I hope to diversify my skills and review bands, movies, books and even to interview people. I would be grateful if you would consider reading my blog and enjoying it while doing so. Thank you very much for taking the time to read this first post from me. Oyindamola Animashaun 2013. All Images are Copyrighted. Please Do not Use Without Credit. Simple theme. Powered by Blogger.